Political and business leaders have refined the art and science of lying about the economy. From their suites, chauffeur-driven limousines, private yachts and jets, they aren’t too concerned about whether the economy works for everyone, except in speeches and elections. As they tuck into their next fine dining experience, they know that it’s easier and more profitable to mummify the paralysis of spectacular inequality. How grossly and mathematically unjust is this inequality? In 2017, Oxfam calculated that the world’s eight richest individuals has as much wealth as the poorest half of the world. … your economy is growing too slowly, if you have two percent growth that you had in some years, and your population growth is three percent or higher you cannot keep people out of poverty. Afghan children who help carry the brunt of this poverty understand the complicity of all in this GDP charade, not through numbers, but through daily labour and universal conscience. An April 2018 report by Afghanistan Human Rights Commission shows that of the 1.2 million child laborers in the country, 16 percent of them are subjected to some form of abuse, of which 43 percent is physical abuse. Before this school, I had no particular hope in life. My hope was in money. I wanted to be the richest man in the world. I’m gradually losing the desire for money. As I understood nonviolence and what it means, my interest in money diminished. The revolution we need to save ourselves is to understand the fake-ness not only of news today, but the fake-ness and fable of today’s monetary systems. The money we have manufactured is killing our own kind, and Mother Earth as well. Habib’s difficult story is not atypical. After Habib’s father was killed in a suicide bomb attack 7 years ago, Habib started working in the streets to help make ends meet. For a miniscule fee, he had a weighing scale that showed passing pedestrians how obese or undernourished they were. He has gone through severe personal trauma in the years since, including ‘escape’ from extremists who tried to recruit him into their militant ranks. Now, daily, through relationships among the Afghan Peace Volunteers, Habib is recovering gradually – grieving, doubting, imagining, feeling and daring to live again, towards a liberated purpose and meaning. Clearly, the corrupt, corporate and militarized economic system is not designed to offer anyone a fair chance to live decently. Instead, it promotes business-as-usual, making people like Habib fight for ‘capitalistic scraps’. While the U.S. has spent US$32 million dollars an hour since 2001 to push their wars around the world, including in Afghanistan, the everyday economic experience of ordinary Afghans is one of slog and slavery. Over the past five years, my extended family of close and distant relatives have lost 46 young members of their families in this worsening war. They were soldiers and policemen. None of them wanted to risk being killed, but there are simply no other jobs. My mother has so much grief that she’s always ill. Advocacy and protest aren’t enough. In such pilfering times, environmental, economic justice and peace groups need to pool their energies together, and give Habib, Afghan youth and billions of impoverished people around the world alternative avenues for education and work. Afghan children and youth, like those you see in the photos below, need ‘new’ schools and universities, as well as ‘new’ jobs and livelihoods. They need a surviving opportunity to learn and live as ‘new’ human beings. If we bank on the ‘fate’ that these ‘new’ schools and ‘new’ livelihoods will miraculously arise from war-driven governments and their machineries, we are fantasizing. We will continue to witness the migration, enslavement and demise of large numbers of fellow human beings. 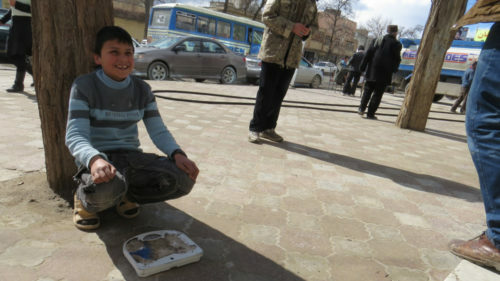 Why can’t we hear what Afghan street kids and youth are telling us? There aren’t any places which intentionally teach them life-affirming, nonviolent knowledge and skills. There are very few living-wage, life-giving jobs. It isn’t that Afghan children and youth or entire generations don’t wish to choose peace. 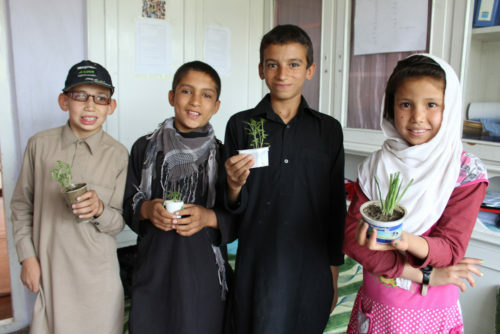 The mission of the Borderfree Street Kids School is to share creative and critical thinking and learning skills with 100 Afghan street kids, so they can care for Mother Nature, the human family and all of life, and so they can become students and practitioners of nonviolence. On 20th January 2015, Zekerullah and street kids organized a walk and asked for a school for 100 students. 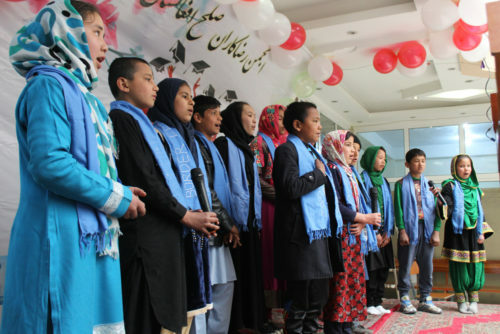 Though an Afghan official had spoken about the lack of government resources for such a school, their dream was fulfilled when the Afghan Peace Volunteers started the Borderfree Street Kids School on 21st March 2015. The school enrolls 100 street kids and vulnerable kids for a period of three years, during which they have Dari, Math and nonviolence classes. They also have the chance to learn a livelihood skill to be tailors/seamstresses, plumbers or electricians. To help the families of the students with their basic needs, each student is given a monthly food gift of rice, oil, beans, lentils and chickpeas. 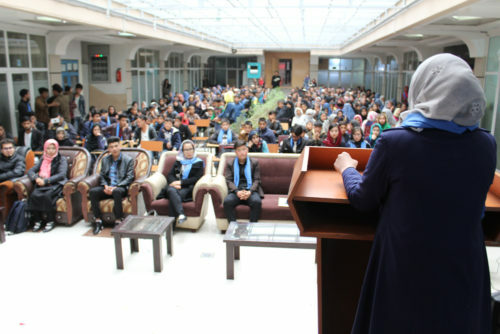 The school has 14 volunteer teachers, and is coordinated by a living wage staff of the Afghan Peace Volunteers, Masuma. The students have Dari, Math and nonviolence lessons, including nonviolence towards the environment. The first batch of 100 street kids graduated in March 2018 and 100 fresh street kids and vulnerable kids have been enrolled for the next three years till 2021. Some of the street kids are continuing as Afghan Peace Volunteers. This article was posted on Sunday, April 15th, 2018 at 2:09pm and is filed under Afghanistan, Children/Youth, Economy/Economics, Education, Environment, Kabul, Militarism, NATO, Poverty, United States, US Terrorism.